Prepaid Expense Card Solutions, Inc.
PEX is today’s alternative to inflexible business credit, debit and purchasing cards. It allows administrators and business owners to fund and defund PEX Visa Prepaid Cards instantly, set spending limits, and set rules about where their employees can or cannot spend. Transactions are processed in real time, and because there’s no attached credit line, you never have to worry about overdraft fees or missed payments. Simply set up your account, fund your cards, and enjoy the simplicity and savings that PEX Card brings your business. PEX has been a great addition to our business processes. It has allowed us to get rid of our antiquated and administratively burdensome petty cash system, and I sleep easier at night knowing that petty cash fraud is less likely due to the increased visibility into the transactions. Our employees love it because they don’t need to worry about holding (and possibly losing) petty cash, and there is no longer change to return. Not every business is equal, but expenses are one thing all businesses have in common. PEX can be easily adapted for businesses of any size and budget. Our customers include residential maintenance and repair firms, commercial contractors, multi-unit franchisees, event production companies, on-demand services, manufacturers, as well as local and national non-profit organizations. PEX customers use their PEX Cards for a variety of expenses: travel, supplies, restaurants, advertising, or fuel. 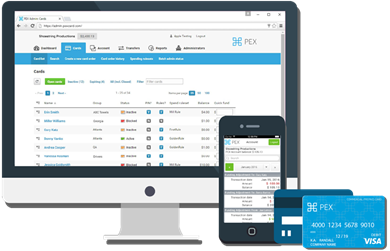 If your business cannot issue company credit cards, or is tired of waiting for employees to file expense reports and cutting reimbursement checks, then PEX is the solution for you. Business owners can’t always predict what their cash-flow will be, how much their employees will spend, or what unexpected expenses may occur. PEX provides a better way for employees to make company purchases, with more controls to ensure funds are spent correctly, and only when they’re necessary. PEX gives employees limited access to funds when managers do not want or cannot risk issuing a credit card to their employees. Employees will no longer be asked to pay the upfront cost of an item and await reimbursement. Instantly add funds to an account when a purchase is needed. 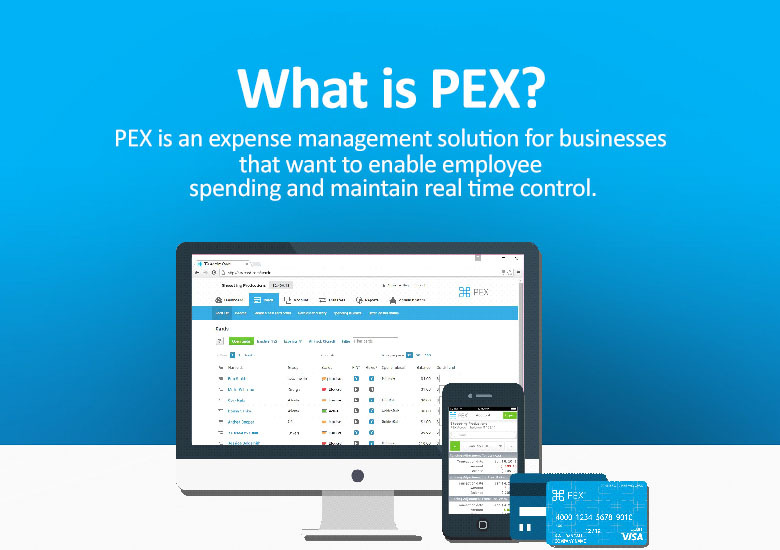 PEX gives managers and employees more flexibility and options to manage their business expenses. Opening a PEX account is similar to applying for a business checking account. When you set up your PEX account, we ask for a few pieces of information for business verification purposes. No credit score is required. Once your enrollment is completed, you move money electronically from your business checking account to your PEX account. Schedule regular deposits or replenish your PEX account when funds are required. Order and issue cards to your employees, allocate funds, and set spending rules. Add or subtract funds, change spending rules and daily limits, or suspend cards as needed—all from your desktop or mobile device. PEX works just like a debit card, but your employee never has to front cash or pay interest on credit. You don’t have to worry about an employee spending more than approved. Save time by exporting transactions to Quickbooks, Xero, or CSV files for efficient budgeting and tracking. I need cards to be co-branded with my company's name and/or logo.